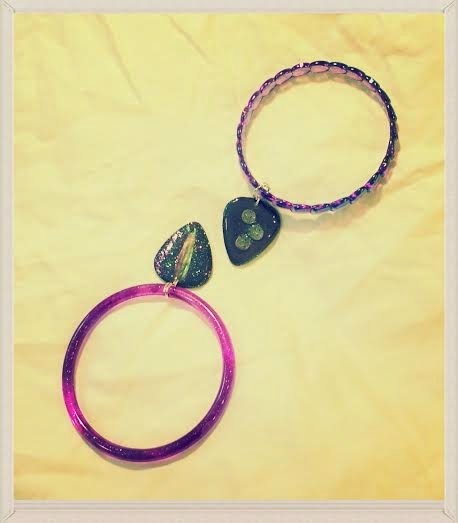 Best friend bracelets done in purple with color changing guitar pick pendants! Both pendants have the same design, one side with an embedded flower petal and the other with silver, shiny circles. They are embellished with glitter and change in color from purple to blue! 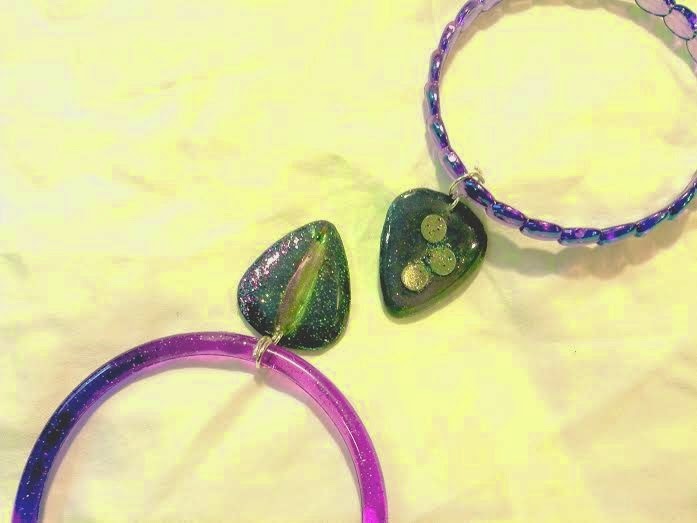 One bracelet is purple glitter, the other is purple iridescent. These picks were painted with Digital Nail's "Lying" color changing nail polish! Check out the video!